SwarnkarRishtey.in is an online matrimonial portal endeavoring constantly to provide you with a safe & secure environment in which you search and find your life partner. Please read this Terms & Conditions carefully before using this site. 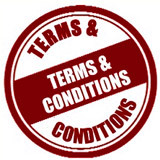 If you do not agree to the Terms & Conditions stated below, you may not use the site. By registering or using on SwarnkarRishtey.in constitutes your knowledge, understanding, and acceptance of this Terms & Conditions, and your agreement to be bound by the Terms & Conditions. Minimum Age - The minimum age for registering and / or using SwarnkarRishtey.in is 18 years for women and 21 years for men. Marital Status - You represent and warrant that you are not disabled by any law from entering into a marriage. By registering on SwarnkarRishtey.in, you may become a free member of the Site at no cost. As a free member, you will have the ability to participate in some, but not all, of the features and services available within the Site. In order to access additional features and services, including the ability to communicate with other members, you must become a paid member. You may terminate your membership at any time, for any reason, by written notice of termination to SwarnkarRishtey.in, via post or email. If you terminate your membership, you shall not be entitled to a refund the subscription fees. If SwarnkarRishtey.in terminates your membership for reason of any breach by you of the Agreement, you will not be entitled to any refund of any unused subscription fees. All decisions regarding the termination of membership shall be made in the sole discretion of SwarnkarRishtey.in . SwarnkarRishtey.in is not required to provide you notice prior to terminating your membership and / or subscription. SwarnkarRishtey.in is not required, and may be prohibited, from disclosing a reason for the termination of your account. Even after your membership or subscription is terminated, this Agreement will remain in effect. Any Profile that encourage illegal intent will be removed without Notice. Your membership will automatically be suspended if you send "abusive, obscene or sexually oriented" messages to other members. Your account is for your personal use only. You may not authorize others to use your account, and you may not assign or otherwise transfer your account to any other person or entity. You acknowledge that SwarnkarRishtey.in is not responsible for third party access to your account that results from theft or misappropriation of your user names and passwords. The information and content you contribute to the Site. Your interactions with other Members through Site. You will not provide inaccurate, misleading or false information to SwarnkarRishtey.in or to any other Member. If information provided to SwarnkarRishtey.in, or another Member, subsequently becomes inaccurate, misleading or false, you will promptly notify SwarnkarRishtey.in of such change. You assume all risk when using the Site, including but not limited to all of the risks associated with any online or offline interactions with others, including dating. You agree to take all necessary precautions when meeting individuals through the Site. You understand that SwarnkarRishtey.in makes no guarantees, either express or implied, regarding your compatibility with individuals you meet through the Site or as to the conduct of such individuals. You will promptly report to SwarnkarRishtey.in any violation of the Agreement by others, including but not limited to, Registered Users. SwarnkarRishtey admins reserve the right to modify and amend these Rules at any time with or without notice. Please remove your matrmonial profile when you find a suitable partner & inform us. Messages sent to members of the opposite gender should be only for the purpose of finding a life partner. You are not allowed to misuse the service in the name of "Dating", "Flirting", and Friendship" etc. To enhance the security of its members, SwarnkarRishtey.in has restricted copying and saving images and content from certain sections of the portal. To interfere with or circumvent the security features of this Site, other websites, or the Internet. We reserve the right to terminate your use of the Site for violating the Agreement or any of the prohibited uses. The Website is only for the personal use of individual Members and may not be used in connection with any commercial endeavors. Organizations, groups, companies, and / or businesses may not become Members and may not use the Site for any purpose. Illegal and / or unauthorized uses of the Site, including collecting usernames and / or email addresses of members by electronic or other means for the purpose of sending unsolicited email and unauthorized framing of or linking to the Site will be investigated, and appropriate legal action will be taken, including without limitation, civil, criminal, and injunctive redress. Your correspondence or business dealings with, or participation in promotions of, advertisers found on or through the Website, including payment and delivery of related goods or services, and any other terms, conditions, warranties or representations associated with such dealings, are solely between you and such advertiser. You agree that the Company shall not be responsible or liable for any loss or damage of any kind whatsoever incurred as the result of any such dealings, including the sharing of the information you supplied to the Company with advertisers, or as the result of the presence of such advertisers on the Website. You agree that laws of India (regardless of conflicts of law principles) shall govern this Agreement, and that any dispute arising out of or relating to this Agreement shall be subject to the exclusive jurisdiction of the courts in Amravati. We are not responsible for the contests of the profile. We are not responsible in any manner if somebody misuse your profile,snap & contact information. We will not be resposnsible in any manner for any mishappening resulting out Of your profile placed in this website. You are submitting your profile on your own risk. Under no circumstances will SwarnkarRishtey.in be responsible for any loss or damage resulting from anyone's use of the Site or the Service and/or any Content posted on the SwarnkarRishtey.in Site. We not assume any responsibility or liability for any illegal Content posted on the Site by any Members, users or any third party. The text, Trademarks, logos, images, graphics, photos, video files, application functionality, or any other digital media, and their arrangement on this Site ("Content") are all subject to patent, copyright, trademark and other intellectual property protection. Content may not be copied for commercial use or distribution, nor may Content be modified, processed, or reposted to other websites. Access to and use of this Site are solely for your use of SwarnkarRishtey.in products for personal use. You may download, copy or print the Content of this Site for your personal non-commercial use only. No right, title or interest in any of the Content of this Site is transferred to you as a result of any downloading, copying, printing or use of this Site. SwarnkarRishtey.in graphics, logos, page headers, button icons, scripts, and service names are trademarks. All other trademarks not owned by SwarnkarRishtey.in or its subsidiaries that appear on this site are the property of their respective owners, who may or may not be affiliated with, connected to, or sponsored by SwarnkarRishtey.in or its subsidiaries. You agree to indemnify and hold harmless the Company, its subsidiaries, affiliates, officers, directors, Admins,agents, and third parties, for any losses, liabilities and expenses (including reasonable attorney's fees) relating to or arising out of your use of the Website and / or arising from a breach of these Terms and / or any breach of your representations and warranties set forth above and / or any fraudulent act on your part.